If you enjoy settling into your Tucson, AZ apartment and watching a movie, we suggest picking a movie that will help you get into the Halloween mood. There are many horror movies to choose from, so it can be difficult to pick one. 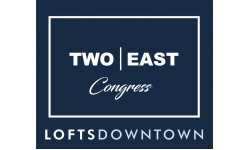 In this week’s Two East Congress Blog, we’ll share with you our suggestions! These Halloween movies, with the exception of Hocus Pocus, are intended for a mature audience so viewer discretion is advised.